Being the group that’s driven by innovation, their design brief sought a design that facilitated transparency, connectivity, collaboration for both staff and visitors, also demanded something that would suit their ideology & belief and their identity as trendsetters in the industry for providing the right solutions across different verticals. 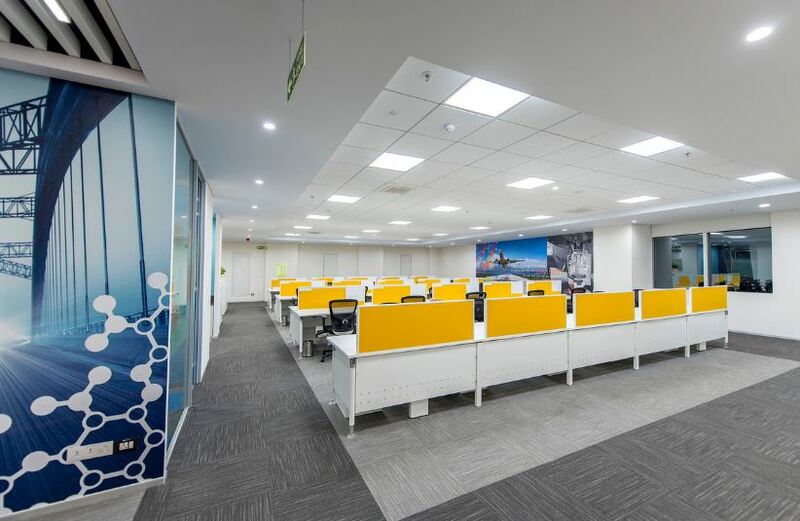 Zyeta worked closely with the Trelleborg Sealing Solutions team in India, to create a workspace that is timeless, fun, fresh & energetic and clearly reflect the high-tech image of the company as well as remain faithful to the firm’s corporate identity standards. Strategic location and zoning of the functions, utilizing the best of buildings offered potential that’s housing the office fit out, for example locating the reception and innovation Center near the lobby area to maximize on the façade glazing, and the eye pleasing view of the flyover network that’s connecting two important nodes of the Bangalore city, which is another added benefit of being in the top most floor, more natural light and better view towards surrounding’s, as there are no other tall buildings in vicinity. Starting from design for the reception table that is inspired by the company Logo and further dwelled up on to make the reception space iconic yet simple. The island ceiling of cylindrical extrusions act as the huge man made chandelier that would complement the symbolic reception table, the combination of these two elements, flavored by the right selection of single monolithic seating made this space timeless and eye catching. 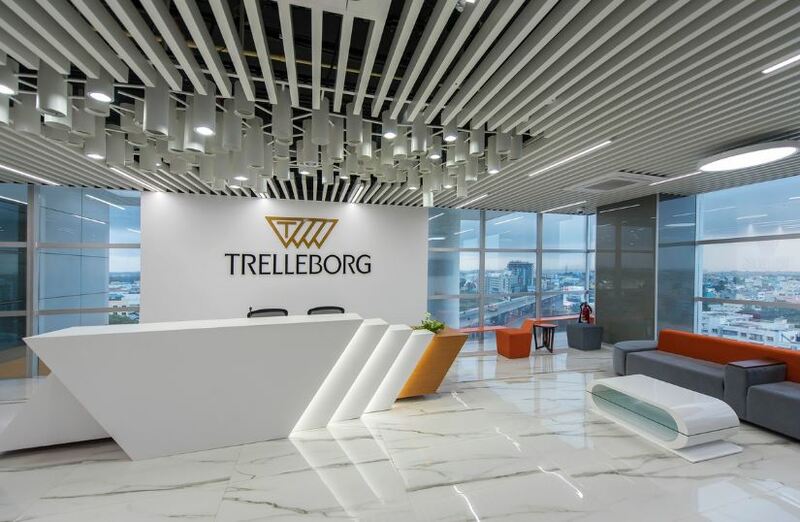 Trelleborg Sealing Solutions team had a huge acceptance for changing trends in the workspace design, which allowed us to make this space more trendy and timeless, from the initial stage of the design. 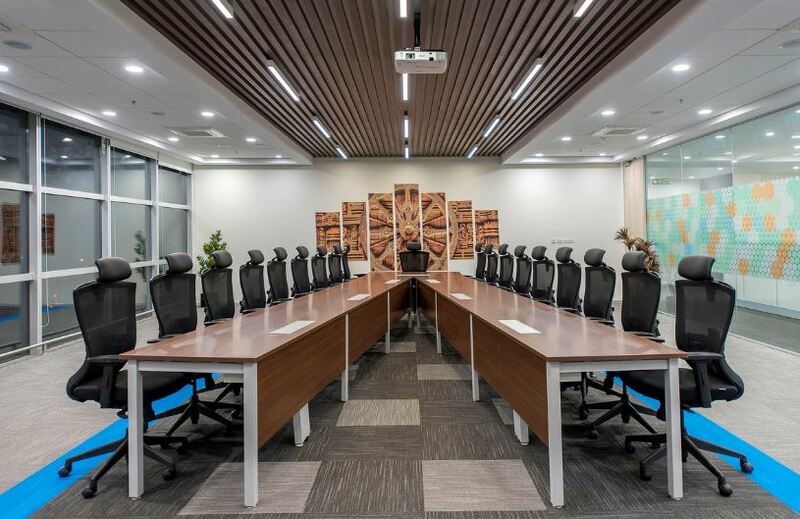 Zyeta made an effort to make the office more collaborative and open office, to promote the companies vision and ideation, which resulted in the formation of the layout which is highly collaborative & social. The Layout is configured in a way to provide clear demarcation for public (visitors), meeting, office and collaborative, social spaces. 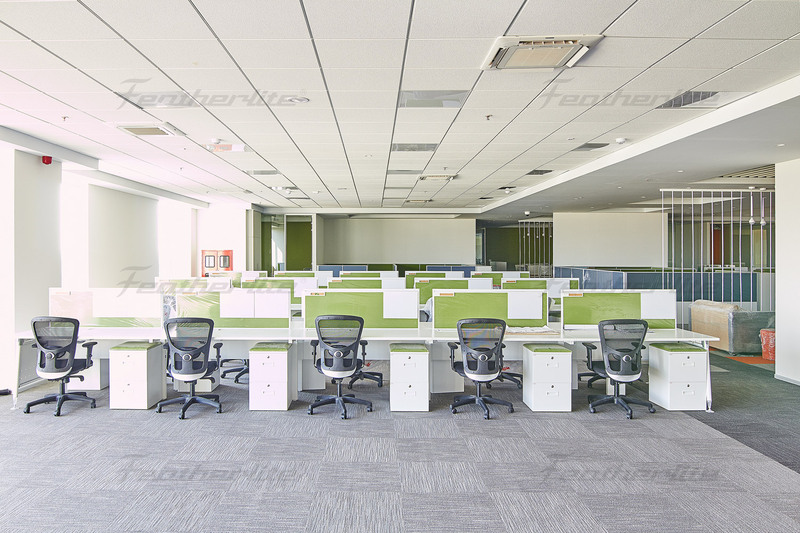 Office is divided into three parallel parts, the central mass housing the collaboration spaces and phone booths, informal meeting spaces, which is guarded by six foot wide corridors on either side with the workstations towards the building façade, making the maximum of the natural light for the workstation area, which makes the more natural light penetrate into the building. 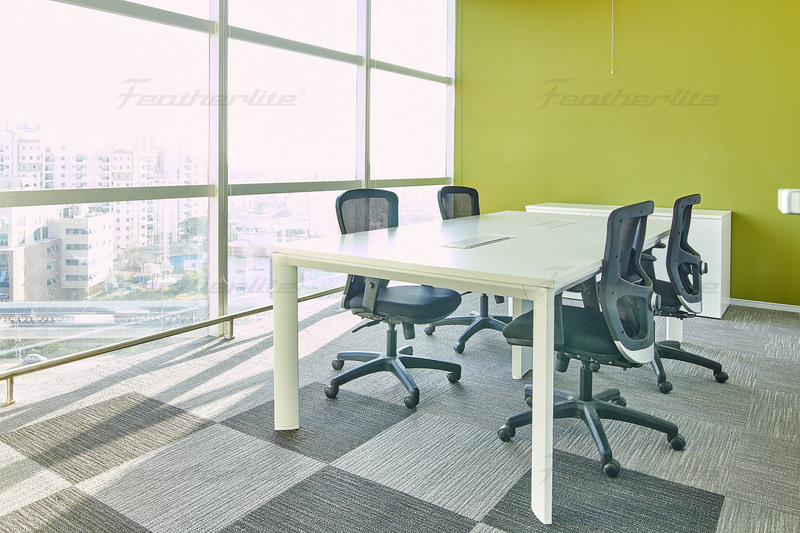 The Office space is further divided into three segments, each segment is self-sustained with cabins, meeting rooms and workstations depending on the requirements, with the common central social spine (collaboration spaces, informal meeting spaces) in the center catering to all three segments collectively. Overall Zyeta’s collaboration with Trelleborg Sealing Solutions team made this design carefully consider the business philosophy and their identity. The unique workspace represents a workplace that is fun, vibrant and celebrates & accelerates creativity to do things better and touch human lives with the boundless solutions every day.